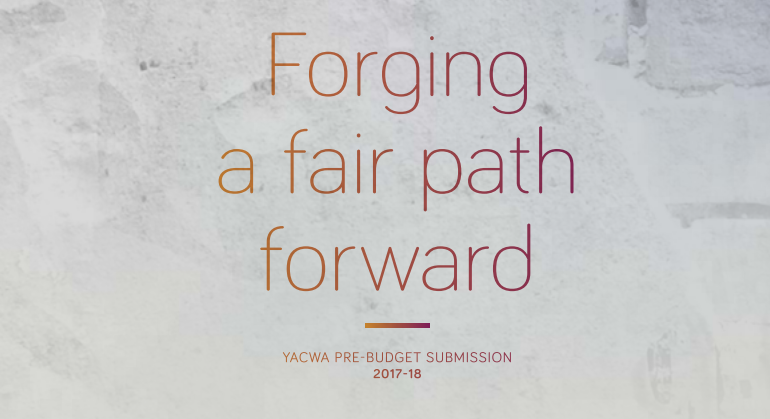 This submission will provide a series of recommendations to Government for next year’s budget that builds on members feedback through areas identified in responses to our Members Survey, this consultation paper, and previous areas of YACWAs work. As a State, our debt has risen sharply, the mining boom is coming to an end, a low GST share is hurting us, and the growing gap of inequality is ever increasing. A decreasing amount of resources to support the entire population means that there has never been a more crucial time to sharpen our focus on the value of the state’s investments. Therefore, the Youth Affairs Council of WA, on behalf of its members, youth workers, and young people across the State, are calling on government to shift its focus towards supporting young people through early intervention strategies. We believe strongly that if you support marginalised young people in their transition to adulthood, they will forge their own path forward and become more independent and vibrant contributors to our economy in their futures. The recommendations herein are based upon broad consultation, which was undertaken as part of the development of this submission. YACWA has received consistent member feedback through this process, and over the years, that there are programs and services working to assist young people into adulthood, and providing cost savings to our economy down the track. As a rights-based organisation, we do not like making this an economic argument when there is also a strong ethical argument; however, we do so here because it will help to achieve results for our members, including marginalised young people. With that in mind, on behalf of the YACWA Board, YACWA staff, and of course our members, we are pleased to present this report to you with a sense of hope for what the future might hold.